Cash and Carrots: When last season still hasn't finished..
One of the rather pleasing inconveniences of growing your own is when a particular vegetable produces for so long that it takes up space that is needed for next season's vegetables! 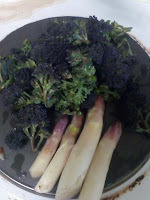 This is what has happened with the purple broccoli, which has still been producing right up until now. Also shown are some of the asparagus spears we have been growing, as with all asparagus plants it can only be cut for 4-5 weeks to avoid weakening the plant too much so it is very much a crop of late April-May and a very time limited treat! 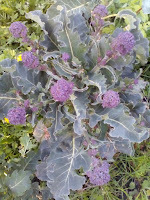 Here is one of the purple broccoli plants. This patch is actually needed for this year's potatoes, some of which have been put in where the broccoli isn't (with protection on more than one night against frost damage!). 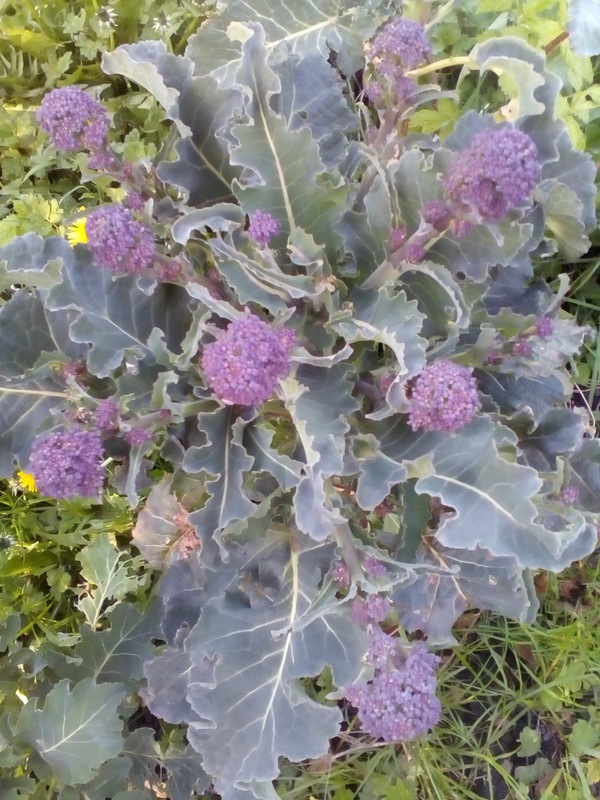 Normally we let the broccoli go to flowers to help pollinators at this time of year but this year it is coming straight up after going to flowers so that more potatoes (Sarpo Mira, Desiree, Red Duke of York) can go in.